Autism is a serious developmental disorder characterized by challenges with repetitive behaviors, and social skills, and impairs the ability to interact and communicate. Autism or autism spectrum disorder (ASD) is defined as a broad range of conditions that affects nervous growth, which leads to the weakening of the child's mental ability and interaction with others. Children with autism have great difficulty in practicing many behaviors, hobbies, and many different activities. This disorder often begins in childhood during the first three years of the child's life; many symptoms appear on the child through which he can know his autism. Autism is usually observed on the child at an early age, affecting its various developmental aspects. It shows an imbalance in its social interaction. It is characterized by the repetition of certain behavioral patterns and weak verbal and nonverbal communication with others. Difficulty in social interaction: The child fails to respond to many questions, such as name and age and lacks facial expression with difficulty speaking and he does not have the ability to converse sound while acting aggressively when interacting with others. The child does not want to participate in play and likes to be isolated. A series of erroneous behaviors: The child has some repetitive behaviors and movements such as continuous beating of the head, walking on the fingertips, with some sensitivity to light, sticking to a game all the time, eating one particular food, with specific intelligence signs. There may be some minor congenital malformations such as external ear deformities. There may be abnormalities in fingerprinting in particular. The autistic child does not show the social affection and courting expected of ordinary children, indicating that the child is not interacting with family members. The child wants to play alone, isolating himself from others, no one is allowed to participate in his activities, at the age of two or three years. He finds very difficult to distinguish parents from the rest of the people. He suffers from a lack of skill to make friends. His social behavior is not tactful. Language development is delayed in autistic children. It is difficult for them to use the language to communicate with others. The difficulty of language is not due to children's abstinence or lack of motivation, but due to lack of development. There is no single known cause of autism spectrum disorder (ASD). There are a number of causes behind this disease, the most important of which are: birth factors, brain factors, embryonic factors, biological factors, and immunological factors. In genetic causes, genes make the child more susceptible to autism because of the influence of genes on brain growth and communication cells. Many scientists have confirmed that there is a large capacity of polluted air to affect significantly on pregnant women. Scientific studies have shown that the possibility of autism in siblings increases if one of them has autism at a rate of forty-nine times to one hundred and ninety-nine times. If autistic siblings are not infected with this disease, they are more likely to have other disorders related to social communication. The incidence of this disease in similar twins is higher than that of unmatched twins. Many scientific data indicate that a large number of autistic children suffer from mental retardation, and a proportion of them ranging from 4% to 32% suffer from traumatic stress disorder or so-called large epilepsy, and they show that electrical brain designs performed on many autistic patients are abnormal, which confirms the important role played by the biological factor in the child's autism. A number of studies have shown that immunological incompatibility can be one of the causes of autism. Lymphocytes can interact with the antibodies of the mother, leading to increased risk of damage to the nervous tissue of the fetus. It is imperative to accept the condition of the autistic child. Since there is no cure for this disease that can deal with the child's behavior, and to improve the child's behavior, to compare it with other children, to get the desired results and to try to adopt the child as much as possible to the home. So use the reward method when treating a child with good behavior, and set a time to relax to increase the child's sense of security. Drug therapy focuses on treating the problem in the neurons and trying to control it and relax it. Teaching children in special schools for autistic patients to be treated in a special way that helps them communicate with others, interact with other children, integrate with the world around them and respond to all the visual and acoustic influences around them. To treat the child's pronunciation problem and teach him how to speak correctly and to talk with others and to integrate with them. Alternative medicine, which some children and other children may respond to, may not respond to this treatment. When you notice the symptoms of autism on the child should not be complacent and go to the doctor immediately; to help the child in treatment and coexistence with this disease and reduce the symptoms of this disease as much as possible. There are some parents when they notice the lack of attention to their son and his indifference to anything around him. But if it repeats so much, it raises concerns and doubts about whether or not the child is really autistic - especially when the child is male or if there are any injuries in the family or anyone with neurological disorders. Many children who develop autism and seek treatment at an early age often help them cope with the disease, respond to the effects around them better, and speak better than other children who are late in treatment. When a child is in the family with autism, the parents should educate themselves well about how to deal with the child and make him better cope with the disease. The doctor should give advice to the patient so that they can help treat the disease. 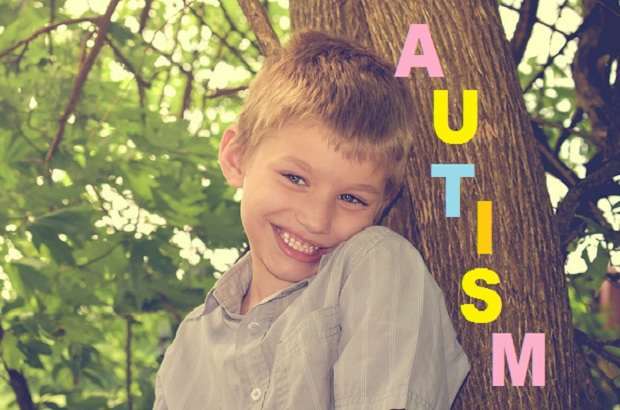 Although the autistic child appears to be introverted and does not want to deal with anyone and likes to sit alone, when he feels his parents love him so much and care him, that will make him feel better and more optimistic and responsive to the treatment. Many parents fall into this mistake, and there are parents, who cannot bear the many screams of their son and the difficulty of dealing with him, neglecting or rebuking him, but this method increases the child's condition worse and makes him more aggressive. The love and understanding of the child are very important and necessary in helping him to live with the disease and make him able in the future to respond to others and rely on himself. Parents must be aware of such a case and avoid marital problems as much as possible as we know that the psychological assessment is half the treatment and whenever the child's psyche and was happy that will be a positive factor in the treatment of the child and progress in treatment quickly also, but whenever the child's psyche difficult, it may make the patient worse and more difficult to control in the future. This may make him an aggressive person or suffer from mental retardation.